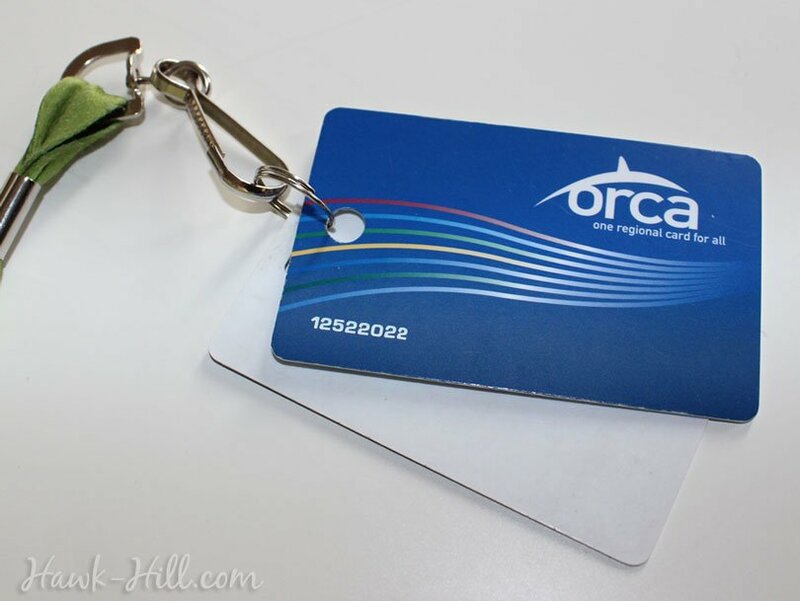 When I moved to Seattle and acquired an ORCA card so I could commute more easily around the Puget Sound on buses, ferries, and light-rail trains, I wondered if I could punch a hole in my public transportation card without damaging the card. Aware the card probably held delicate components that allowing it to be scanned, I was cautious. Ultimately, though, the period after my move was so chaotic and the commute so stressful, I decided to try punching my card and putting it on a lanyard so I could spend less time fumbling in my bag for my ORCA card and so I could worry less about losing it (anything connected to a lanyard is hard to lose, in my experience). I decided the convenience was worth the risk of damaging the card (which has a $5 replacement cost). 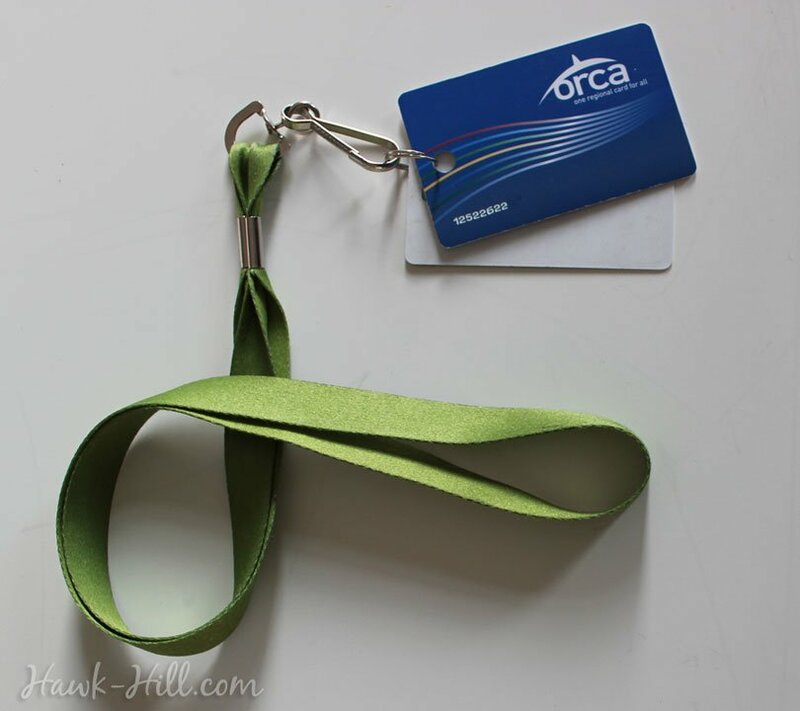 The first time I punched an ORCA transit card I was really flying blind and experimenting. Since punching my first card, I’ve punched two more cards (one for a friend, and one when I qualified, as a full time graduate student, for a lower-fare ORCA LIFT card). I thought it might be helpful to a couple PNW’ers if I posted about my experience and what worked for me, so others can, at their own risk, take the gamble for convenience and punch your own ORCA card. I use a three hole punch to punch my cards. The 3 hole punch has helped get a consistent placement of the hole on every card- since this style of hole puncher has a stop that prevents punching too far down on the card. Note: proceed at your own risk. These instructions have always worked for me, but there is a chance you will damage your transit card! Step 1. Place the card in the hole punch face up with the multi-colored end in the hole punch. Step 2. Push card all the way in, so the hole will be punched as far into the body of the card as a hole would be added for a standard piece of paper. Step 3. Squeeze the hole punch part way so you can clearly see where the hole will be punched, and adjust the card so that the cutting piece is coming into contact with the card between the red line and the yellow line. Step 4. Squeeze hard. Depending on your hole punch you may have to use a lot of elbow grease, but it’s doable.